IT’S BIRTHDAY PROJECT TIME AGAIN! As some of you may know, MFBTY’s Queen 윤미래 Yoonmirae, birthday is coming up at the end of this month. Queen loves to give to others more than herself, so we’re setting up a special charity reef project for her gift this year. Our base goal is to raise $140 USD for a ramyun wreath, which supplies 3 boxes of ramyun that can be given to a charity or those in need. 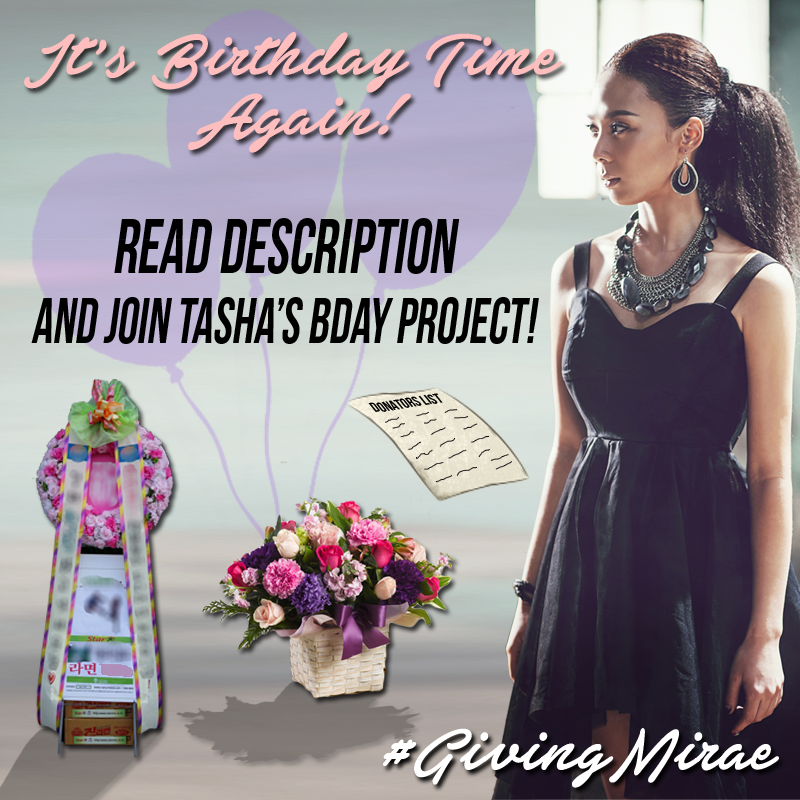 All donator names will be included as well as a decorative ribbon with custom birthday text. Tasha can choose who she would like to give it. Queen’s heart is big, and the more we collect, the more we can give to her to give to OTHERS. Assuming we have 25% fan overage on our social media, we have a total 8000 MFBTY fanmily. Even if each person gave 50 cents, we’d reach our goal 40 TIMES OVER. We’re more than confident every fan has 50 CENTS, but ANY donation is a step forward towards a dope gift for queen. Donate what you desire to paypal.me/dtmfbtyintl (USD only). You can also paypal money to mfbtyintl@gmail.com if paypal me doesn’t work. – Please, write your name (nickname, if you prefer) and country in the PayPal payment’s description field. It will be added to the donators list. THE LAST DAY TO DONATE IS MAY 24TH 11:59PM EST. DM US IF YOU HAVE QUESTIONS. LET’s DO THIS!